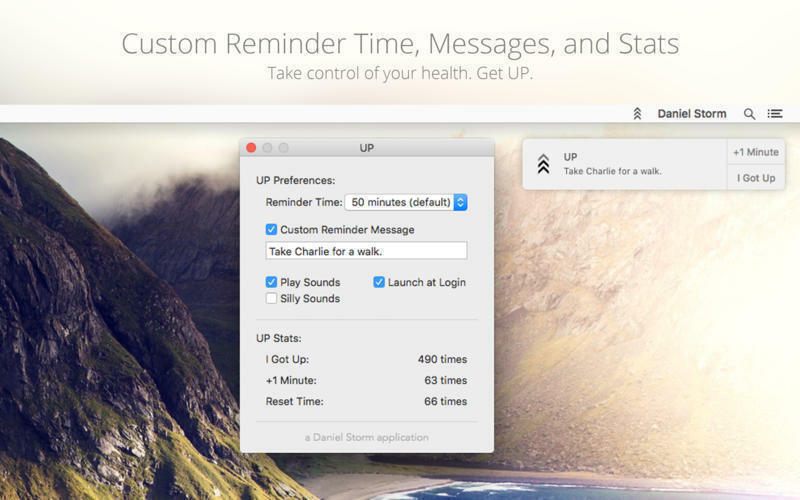 Is there a better alternative to Up? Is Up really the best app in Health and Fitness category? Will Up work good on macOS 10.13.4? 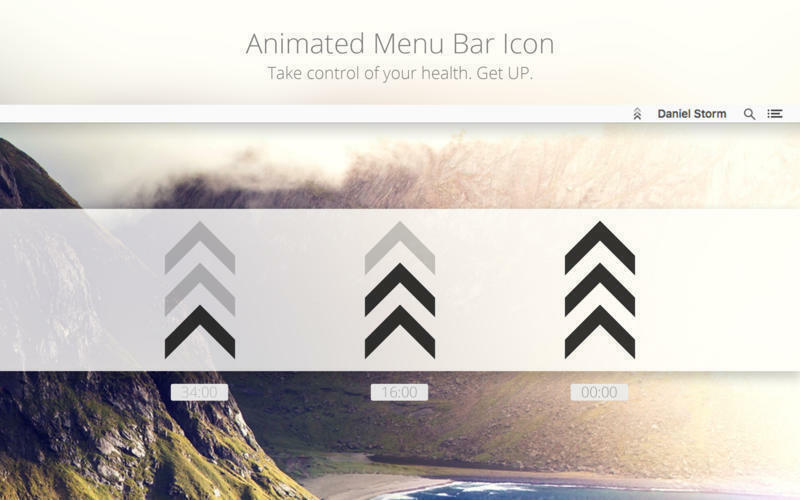 UP is a simple and effective menu bar application built to put a stop to the sitting epidemic. Sitting for prolonged amounts of time makes you a prime candidate for heart disease, diabetes and obesity-even if you work out regularly. However, by taking regular breaks, you can reverse these detrimental effects. Standing breaks not only improve your general health, but they also improve the health and function of your neck, back, shoulders, and eyes. Designed to seamlessly integrate with your Mac's Notification Center. Up needs a review. Be the first to review this app and get the discussion started! Up needs a rating. Be the first to rate this app and get the discussion started! Pleasant and discreet notification sounds that are great for the office. 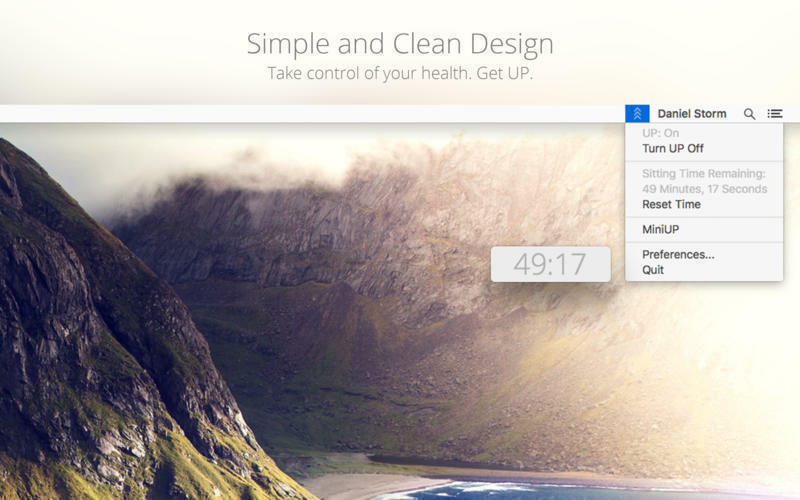 Animated menu bar icon updates as it gets closer to standing time. Tips and suggestions to get you up and improve your health. Stats to keep track of how many times you've gotten up. Optional "Silly Sounds" setting for that added motivation. Ability to customize the reminder message. Ability to adjust the reminder time.